This bold new play puts the spotlight on mental health like never before. After two years of research and input from almost 400 community members with different perspectives on mental health, Sarasvàti Productions is excited to present the world premiere of Breaking Through. The play follows the stories of five Winnipegger’s living with different mental health issues. Writers Hope McIntyre and Cairn Moore honour these stories with nuance, humour and unabashed honesty. 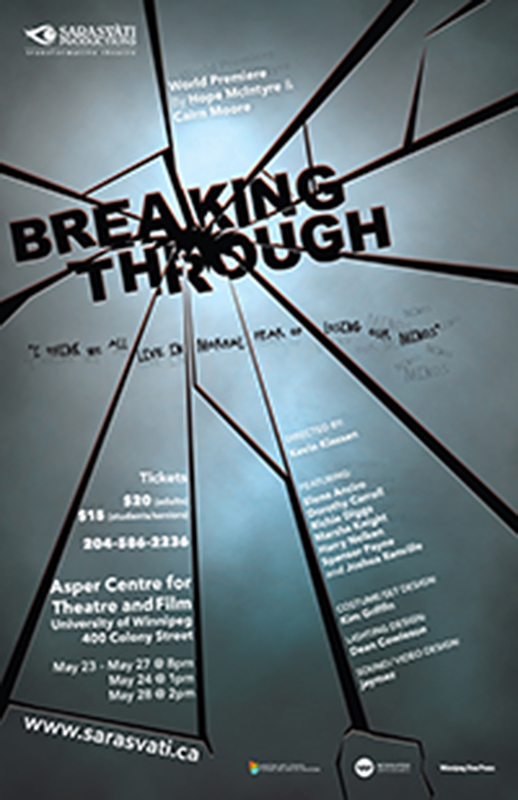 Breaking Through runs May 23-28 at the Asper Centre for Theatre & Film. Show times vary. To see a list of show times and to book you ticket, visit sarasvati.ca or call us at 204-586-2236.